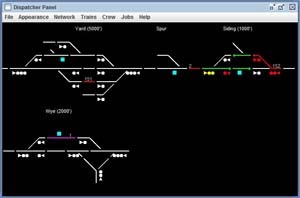 The Crandic Automated Traffic System (CATS) is a JMRI-based application by Rodney Black for controlling and operating a model railroad. There's more information on the CATS web site. JMRI is a library, and CATS is a large, separately maintained application that uses the library. As such, CATS provides an important reference case for JMRI developers as they extend and adapt their code. CATS should continue to work for it's users, with a minimum of extranous effort for the CATS developers! A separate page describes how JMRI and CATS are connected, and how the JMRI developers check that their changes don't inadvertantly cause problems for CATS.